Just Julie B's Stampin' Space: Dry Erase Board Gift Set! 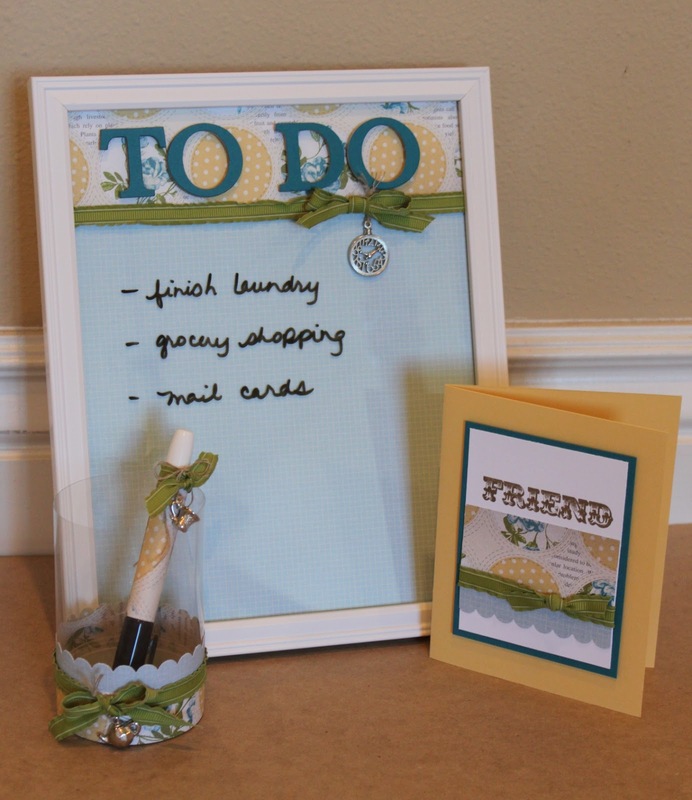 Make this Dry Erase Board with the coordinating pen and cup for a sweet project for a friend, or maybe even make one for yourself! It’s a simple project, with some great ‘up-cycling’ ideas using your Stampin’ Up! supplies. And just think of how many ways you can change up the board to fit your needs – a grocery list, kids’ chores… the possibilities are endless! This is the second project for Craft Project Central for the month of February made by ME!! So if you go over to Craft Project Central, you can get the details there! What a fun project Julie. Love the board. Julie, I have logged into CPC several times and the project isn't showing up. What is going on? Tks for your help! Sorry if it seems confusing, but to get the tutorial, you click on the Craft Project Central (in red) and it takes you to the page where you can subscribe! Julie Way Cute! I have made these before but I really like what you did on it. Different than most! only placing the other person's webpage link on your page at suitable place and other person will also do same in favor of you.